organized the anti-racism seminar in Helsinki on 9th April 2013. 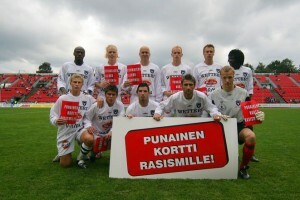 In the battle against racism in sports. 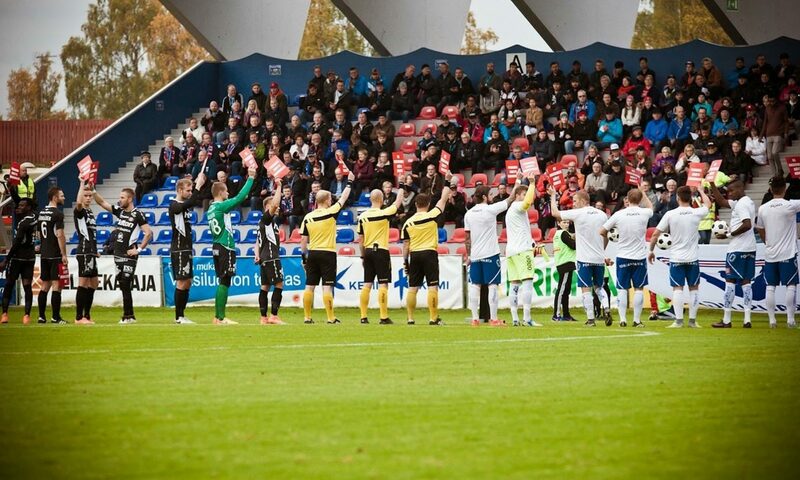 On Wednsday 5.8.2009 Fimu ry and FC JJK has organized so called- Veikkausliiga SRTRC GAME – between Fc JJK and KuPS, in this game the JJK players play with SRTRC logo in them shirts and also give examples in the field for showing an SRTRC stronge message to all. FiMu has signed a cooperation agreement with JJK for the Finnish football season 2009. Joining the super league JJK will paly very important role for the SRTRC project, multiple activities will take place in important games, hoping to continue to achieve a positive behavior inside and ouside the football field. 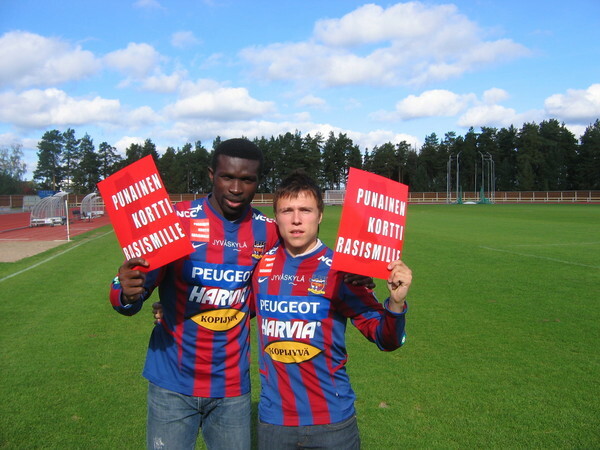 in Finnish First League, Fimu has achieved agreement with the two Finland’s Football Ambassadors against racism, Babatunde Wusu and Tommi Kari to transmit the message of SRTRC and introduce its objectives to media, fans and players. 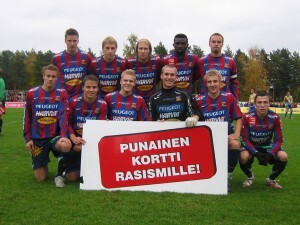 FiMu made with them a campaign work, so that they will play all games 2007-2008 with SRTRC logo in them shirts . 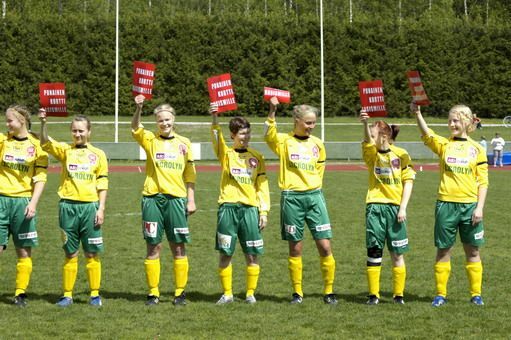 in Women League, FC Ilves has played against PuiU. This game was an SRTRC game by introducing a SRTRC to fans and players. 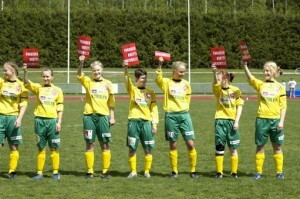 FC Ilves has made a campaign with FiMu and will play all “Naisten SM-Sarja” games with SRTRC logo in player’s shirts . Since last seminar in Copenhagen we have been told that the Nordic council of Ministers do not have funds for our work except the ETNORDEN program where youth groups can get funding to arrange seminars. However, FARE hope to set aside some of the Nike wristbands money to support the Nordic campaigns, but we do not know how much this could be as of yet. 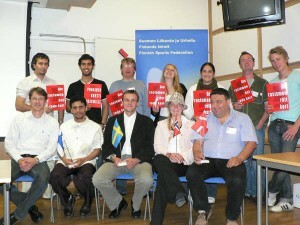 The web site of the Nordic cooperation is up and running, mainly presenting the contacts of each national initiative. Each campaign can get access to this site by contacting SRTRC Norway. The Swedish and Danish campaigns got a set of their own big red cards (from the FARE budget) and will be posted a box of 1000 cards each. Show racism the red card originated in England 10 years ago. 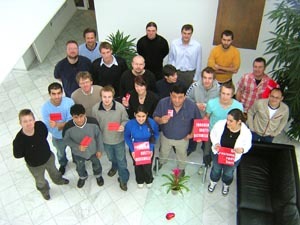 In 2000 Norwegian People’s Aid and the Norwegian Players Union in Norway launched a similar campaign with great success. Youth groups of NPA co-ordinated activities at the Premier League arenas, handing out red cards with anti-racist messages to spectators and organised so that the football players showed racism the red card before the match. The campaign has also moved out to schools and tournaments for kids/youth where players and project staff address the issue of racism.